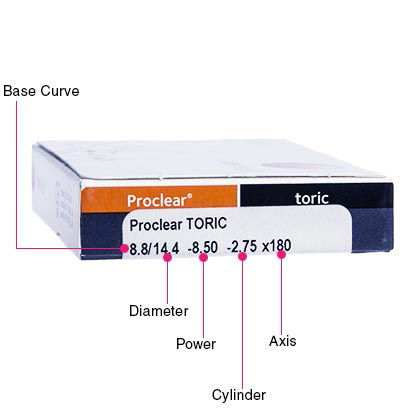 Proclear Toric contact lenses offer exceptional all-day comfort, whilst correcting the effects of astigmatism. 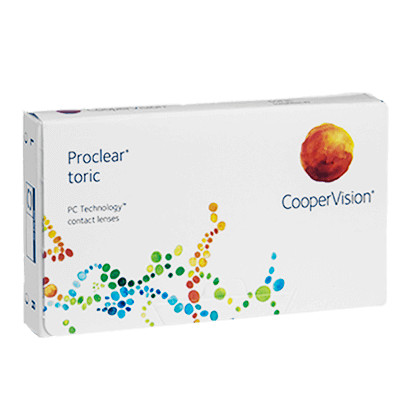 These outstanding toric lenses are part of the renowned Proclear range manufactured by CooperVision and designed for monthly wear. 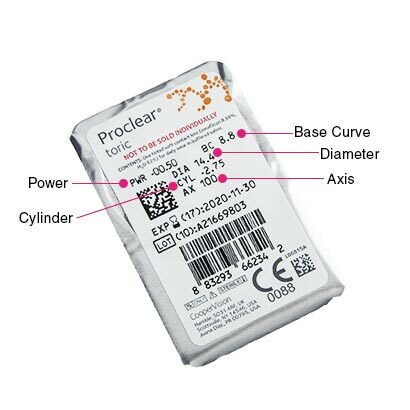 Proclear Toric contacts can last for up to 12 hours of wear, ideal for wearers who spend most of their day in front of digital screens and who may suffer dry eyes over periods of time. Made from biocompatible materials, the wettable lens uses PC technology to naturally retain water at its surface. This keeps the lenses clean and smooth, for a healthier and comfortable lens wearing experience. The lens design reduces the risk of the contact lenses from drying out and promises long lasting hydration for a whole month. These Proclear Toric contact lenses guarantee a secure and comfortable fit, to keep up with those who lead busy lifestyles. These lenses can be worn for up to 30 days, provided they are cleaned and stored in solution each night. Why not maintain your monthly disposable contact lenses with our recommended comfi All-in-One Solution? Biofinity Toric can be worn as an upgrade. Been using this brand of lenses for over a year now... no hassles at all..